﻿ Christmas 2012: Decorate With Animal Print Ornaments! Animal Print Essentials › General › Christmas 2012: Decorate With Animal Print Ornaments! This holiday season deck the halls with “wearable” animal print ornaments. Christmas decoration was never so beautifully creative as in this collection of fashion ornaments! Take a quick look in our SEASONAL section and get ready for the adventure! 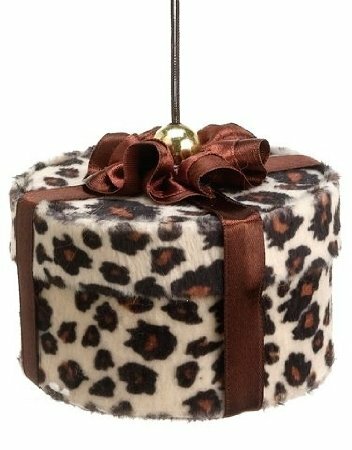 Who can resist this cute fabric-covered Cheetah print gift box? Add it to your ornament collection! I love the clip and the ornaments 🙂 ! beautiful work !